Want to get your manuscript published in a medical journal? But afraid of getting it submitted successfully without rejections and objections. These sorts of hiccups are found in most of novice writers and investigators. So, how will we make sure that our painstaking work of research and manuscripts can see the light of the day without getting ditched by the scientific journal editors? To be able to sail smoothly we need to consider some crucial points that will help the scientific medical manuscripts to be accepted by good reputed medical journals. For instance, the manuscript should be in compliance with the guidelines and instructions to authors of the journal. A brief note on the sponsor along with the cover letter should be taken into consideration while submitting your manuscript. Writing skills again is a very crucial factor that gets your manuscript through. A doctor’s duty does not get over by the time he finishes his work/operation. In fact, his duty will be considered accomplished only after he gets his work or research published. A published manuscript of his study or research will work as an evidence of his clinical trials. Moreover, a successfully published manuscript will be a win-win situation for both the investigator and the readers. There are numerous benefits of getting your manuscripts published as it will be useful to doctors, other professional will be able to analyze your results and give their critical view points to the writer and who knows one day your findings will transform the way things are practiced and viewed in the present world. Still investigators struggle in getting their manuscripts published as we can cite various reasons behind these failures and apprehensions ranging from lack of confidence or underestimating their work or cheap material to wrong study methods. The common mistake the investigators and novice writers commit is that they are under the wrong impression that their task is limited to gather and analyze data and leave the rest of the job to editors for constructing a brilliant and thorough reading for the readers. Before committing this sin, investigators should go through the INSTRUCTIONS TO AUTHORS, as most journals provide it as the prerequisites for the investigators. *who could be their targeted segment of readers? * Are they comprehending the scenarios and conditions discussed in the article? Don’t get scared by the demands of the Editor as he is asking you to be artistic enough to get your work submitted in his reputed Journal. An editor invariably desires the article to be as interesting as possible for his readers. He also want the article should be written in such a way that it increases the knowledge of readers and the article should be written in such a manner that it provides a platform for the genesis of new ideas for particular study subjects. The article should also adhere to the mission of the journal by complying with the INSTRUCTIONS TO THE AUTHORS. As the editors and reviewers burn their lot of calories in perusing the submitted manuscripts, so every effort should be made by the writers to make their manuscripts readable and comprehend by the editors. INSTRUCTIONS TO AUTHORS should be taken as a bible by the manuscript writers in order to comply with the guidelines of the journal. INTRODUCTION, METHOD, RESULT AND DISCUSSION (IMRAD) are the four basic components that a manuscript should consist of as it helps in demonstrating a process of scientific evidence-based study conducted by an investigator. Another important point should be kept in mind while writing a manuscript is that sufficient space margins should be left for the editors to make and amend some changes as well as to add comments and questions. *Title should be plain, simple and not complex. * The International Committee of Medical Journal Editor (ICMJE) pronounce that the manuscript writer or author should follow some criteria like he has made a good amount of contribution on the design or proposal, used his intellect capacity and provide final agreement for the publication. * Funds, aid and sources for research. * Word count, Running head and No. of illustrations and tables. Special page for the conflict of interest in order to avoid probable conflict of interest among writer, editor or reviewer. In a nut shell, Abstract is an integral part of any manuscript. It includes Background and Aim of the study, Procedures (Observation and Analysis) and last but not the least the Conclusion. As far as key words are concerned, they are mentioned along with the Abstract. Key word is a succinct phrase that should depict the main topic of the research or work. Keywords should subsume words specified in the list of Medical Subject Heading(Mesh) of index medicus. Introduction should work as a front office to any hotel or reception counter to any guest house. Introduction helps in showcasing the background of the study. Sections of the Introduction should be narrated in 1 or 2 paragraphs as it should make readers realize that the research carried is necessary and realistic. An investigator ought to mention each and every detail like computer programs used in the study, time and place of the study conducted, medicines and equipment used, technical information about measurement, Analytical and statistical data used, explain statistical terms, abbreviations and symbols. HOW TO PRESENT THE RESULTS OF THE STUDY? In order to make your results and findings meaningful and reasonable, We need to delve into various minute details like Tables, texts and illustrations can be used to present the study result with logical sequences. Always try to start from main result or the most important result first. Do not reiterate any information that has been specified in tables and illustration into text, except for emphasizing or highlighting important findings. Appendix section can be used for putting additional information and technical details so that it can be explained without modifying the narration. Avoid non-technical statistical terms, such as “random”, “normal”, “significant”, “correlations”, and “sample”. One should be cautious about the usage of numerical accuracy, data, statistical symbols which are referred to as a guide to ICMJE. HOW TO DISCUSS THE FINDINGS OF THE STUDY? Showcase the fresh and important findings of the study. Avoid repetition and redundancy. Always start your discussion with crisp and transparent explanation about the main result of the study. You can compare and differ with other relevant studies and can explain about the demerits in the study. You can also discuss about its implications on the medical practice. 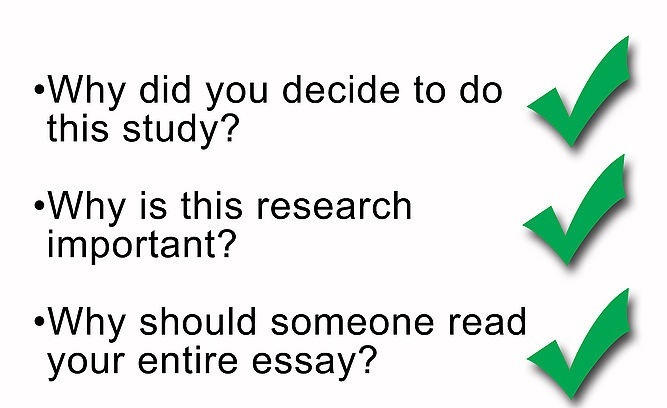 In the end, try to establish a relation between conclusion and aim of the study. HOW TO USE THE REFERENCES? Investigators should keep in mind that References should be numbered in the sequence in which they are mentioned in the text. Always use the Arabic parenthesis while using references of texts, tables and illustrations. After finishing with everything keep your painstaking work of manuscript with you and let others read and analyses it to give their important feedbacks. This strategy will make you improve your work by making some amendments. In fact after some days you may bump in to some novel ideas and solutions that you may want to include in your manuscript without disturbing the whole content. Try to go through each and every sentence by reading it again as this will minimize typing error. Make sure that your manuscript is crisp and concise and is interesting enough to make it a enjoyable reading for the readers and editors. Manuscripts should be enclosed by the cover letter and may contain the relevant information regarding the previous refusal, comments of the previous editors about your work etc. After submitting wait for the response of the editor as it can be accepted (party time!!) can be considered for further revision (still on a safer side) or who knows may be rejected, but don’t lose hope is the moral of the story, as it again gives you the opportunity to further look into your work and improve it by making some required and necessary changes and then again you can submit it to some other journal next time. I believe that after following the above mentioned strategies Novice Writers and Investigators will give a tough job to Editors in getting their work rejected. And I am very hopeful that if Writers follow these strategies and guidelines then their work is surely be accepted and appreciated by everyone. Every day, the field of medicine witnesses new discoveries, theories, and concepts. The average medical researcher has to keep pace with these changes. Moreover, he or she has to also contribute regularly to his or her field of work. Therefore, the process of preparation of a manuscript produced by him or her is extremely important. However, a document that is full of mistakes will be rejected by many. So, here are some mistakes you should avoid in your medical paper. Female and male are adjectives in the medical context and not nouns. For instance, a 24 year old female could refer to both a human being as well as an animal. However, when you rephrase this as a 24 year old woman, it would be more specific and would imply the female of the human species. Radiography versus radiogram – Be careful while using these two words since “radiogram” indicates the presence of a particular condition while “radiography” means a procedure that can be performed. Patient versus case – While a case refers to a condition with its related circumstances, a patient means a person who is suffering from a specific condition. It can be tricky to understand the usage of an article. The most common error is the omission of the different articles before the names of body parts. However, the use of the definite article “the” will be sufficient if the names of the body parts are a part of a list. However, the rule is not applicable to certain idioms. For example, do not take this to heart. The use of the word “significant” should not be done except when indicating significance of a statistical nature. The contents of figures and tables should always be in present tense and not in the past or future tense. Editors hardly find time to go through your entire manuscript, and so it is the synopsis that they want to go through. Therefore, you have to be focused when writing the synopsis and punch in the crucial points to make it ideal for describing the manuscript. Follow a few step-by-step procedures ensure a successful guide towards writing an apt synopsis of your unpublished manuscript. Remember a successful synopsis is well-defined by its structured, surprise-free and succinct content. Long, meandering sentences won’t justify your writing. First off, you have to be well aware of your manuscript. Though, you may feel that the job is quite easy but you will be surprised to know how easy it is to forget the subtle details of what you have written since you have been working on it since a long time. Therefore, before you start jotting down the synopsis you need to go through the entire manuscript once again and be sure that you know all the information intimately. Draft a summary first. Once you are confident about the storyline, characters and language; you can go well about it. A well-written synopsis should not be more than 300 words. Therefore, after finishing writing the draft, re-check it and edit the content to abridge it. Since 300 words is too short to describe a 1,00, 000 words manuscript you have to choose words wisely and trickily put in the information and essence of the matter in a way to convince readers. The advice is to avoid being too much descriptive, instead, be brief and to the point. Remember, drafting, editing and then finalizing your summary play the major steps in preparing a validated summary for an unpublished manuscript. The crucial advice is to ask a professional to read your synopsis before it is being submitted. An objective opinion plays the best for your manuscript. How to Create an Efficient Medical Manuscript? Writing a good research is a complex task, it takes a lot of time and research to make it effective, make sure you start early so that you can manage to finish it on time. It requires creativity and quiet reflection to express your topic in your words, so that it can be easier for others to understand your research. It is important to include all the important points and make sure you write all the sub-headings and labels to make the manuscript more effective and readable. Ensure your manuscript has the proper title, figures and table, so that results can be directly compared with the previous results, that will help to notice where the improvisations have been done. Make sure your manuscript follows the proper format, provided by the institution and generally APA format is preferred. The phrase “publish or perish” is what goes to define the future of medical manuscript writing. Like most researchers, you probably began your work with an online search. You, in fact, have more power than you realize to broaden your audiences with medical manuscript writing. It is not just enough to be published any longer, but you have to be found. In such cases, it is important to have medical manuscript writing done for you. It is important that you facilitate communications among medical staff. So, these services are extremely important and can make a huge impact in the future on your work. Medical manuscript writing can make a huge difference to the way the doctors and nurses communicate with one another. Medical manuscript writers were few and far between back in the day. Today, there are many medical writers, who can give you value for the money of their customers. You would have found it difficult back in the day to find a writer, who could write a medical manuscript. You could find that there was much demand for medical manuscript writers, but a lack of them. The future of the field of medical manuscript writing is possibly bright since there are many people, who want their manuscripts to be written by medical manuscript writers. Moreover, there are many certified and highly qualified writers today and it is possible that there would be many more in the future. As the demand for medical manuscript writers goes on increasing, the supply would go on increasing too. You should, therefore, consider providing medical manuscript writing services to your clients. When you do so, you will be able to draw more customers toward your organization and this will create awareness amongst the others about these services and thereby more demand for them. When you take us the task of writing a medical manuscript, there are a lot of things that you need to bother about apart from the research for the manuscript. Not only should the content of the manuscript be informational and accurate but the matter must be easy to understand. 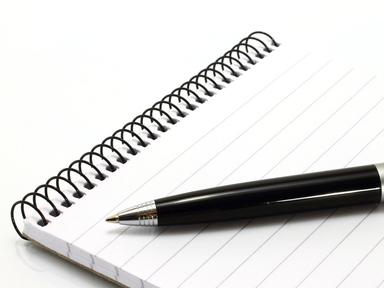 For achieving an impeccable and perfect write up, make sure you follow the simple rules of writing. Keep the writing to the point and make sure you write to provide actual information, not just to add words and make the write up lengthy. People read medical manuscripts so that they get enlightened on the topic. If you need your write up to get substantial acknowledgement, be careful about the grammar and the spellings in the manuscript. If the need demands, get it checked by those who have the time and intent to edit medical manuscripts. When you delegate the responsibility of editing the manuscript, you get more time to concentrate on gathering information from more diverse and accurate sources. Make sure you take complete advantage of the opportunity and give your readers something worthy to read. Check the formatting of your manuscript, a well formatted write up is something that makes for a comfortable read. The flow of chapters and the identification of specific materials becomes easier when the format is taken care of. Finally the medical manuscript must match up to the international standards and must provide information that adds value to your field of work. Writing something that is obviously known, does not do any good to the readers. Keeping it unique gives your work an edge over the others. Writing a medical manuscript is a task that must be done with responsibility, when you embark on your mission, make sure you have it in you to give your readers something that they may not find elsewhere. New acquaintance and information is continuously being added to the field of medicine by way of an ever increasing number of research studies, growing clinical know-how, and innovative thoughts and ideas. All of this information needs to be successfully communicated to different audiences, for example: the physicians, the healthcare professionals, patient’s consumers, chemists, drug suppliers etc. The demand for medical writing has gone up very much in the past few years. The reason for this is; more research studies are conducted nowadays in the biomedical field. The pharmaceutical companies are mounting new drugs and medical devices. Whereas, medical writing can be described as a discipline of writing scientific documents by writers in the field of medicine called as “medical writers”. Medical writers may not be the real scientists who do the definite research, but they work with the scientists /physicians involved in the creation of data. They help to present the information in an opposite manner. Medical writers should have complete and thorough understanding of medical conception and terminology. They must be aware of pertinent guidelines with regard to the structure and contents of precise documents along with excellent writing skills. The significance of good medical writing cannot be ignored as science depends on patent and truthful reporting. An otherwise conscientious research can appear flawed, if it is weakly presented. The medical writer should be laced with clear understanding of the medical concepts and ideas. He/she will be able to present the data and its explanation in the manner the target audience will comprehend. Furthermore, the writing needs to fulfill the explicit requirements for various types of documents. Medical writing profession has been established as an important aspect in the pharmaceutical industry, as it necessitate specialized knowledge and proficiency to be able to write scientific documents which are neatly- structured, and presented in a clear and coherent manner. Medical writing is not just confined to writing a medical thesis or dissertation, but also includes writing an abstract, review article, medical manuscript, presentation and letter to editor. When you are working on original research, it becomes critical to start with a clear research problem and relevant study design. Medical writing also requires you to be open to ideas and work without biasness. One should also be receptive to critical feedback. Further, it is important to adopt an ethical approach while writing. While you need to avoid mentioning anything unethical, you also need to protect the identities and clinical details of your subjects. While writing a paper, you should focus on backing up your ideas and arguments by strong evidences. Your work should be reliable and reproducible. It should also be clear and specific. Abstraction does not have much space in medical writing. Your content needs to be meaningful and presented adequately. There should be an effective citation of related work by other researchers. There is no place for plagiarism and fabrication in medical or scientific writing. Thus, it is important to make your entire work unique and original. Finally, your work should be targeted on the right audience. It is not the same to write a medical research paper and a clinical report presentation. An abstract can have two reasons why it needs to be written – to communicate a summary of a detailed piece of work, including research paper, journals, article, thesis, dissertation, etc. or to submit an application in order to write a paper for a particular meet or conference. In the field of medicine, you are constantly required to write research papers and therefore, you will also need to submit an abstract that is a summary of your work. It is quite difficult to incorporate all your work in a small summary with a limited word count. However, if you do it correctly, you can write an effective abstract that can serve the purpose well. In one sentence, write the objective of your paper. You may be tempted to explain it further on and keep writing, but limit your writing to just one sentence that gives a clear idea of the objective of your paper. While writing the abstract, start in a chronological order and refer to the headlines of your topics for guidelines to write. Avoid unnecessary details since you have a limited word count and you must use it wisely if you want to create an impact. While determining the words used in the abstract, you must keep in mind that your abstract will be read by experts in the field. So you can use medical terminology freely to explain your concepts. Your content should flow and connect seamlessly. There should be no gaps in communication. The sentences in the abstract can be longer than usual and the word quality can be dense. Check the entire content for grammar and spelling mistakes before you submit it. Writing an abstract can be an interesting task. Give it ample of time and thought to make it impactful. Developing an abstract of a few thousand words by condensing your entire research work may be a challenging task but is not difficult if some rules are followed. Creating an effective medical abstract is also an art that can be learned and slowly mastered. Here are some tips that can make the task simpler for you. • Keep a check on the suggested format and develop your abstract accordingly. Additionally, restrict your content to the given word limit. • Understand your entire project before you start writing your abstract so you may do complete justice to your research. You may also practice explaining it to your friends. • Start writing your abstract with an apt medical question and discuss why this problem needs to be answered. • Focus on explaining relevant aspects while describing the methodology. Explain about your adopted approach and procedures, as well as your study design. You should also discuss about your sample and subjects. Do a scientific analysis of your adopted methodology. • When you summarize your findings, see to it that they answer your research question. Your findings should be factual and based on scientific evidences. • It is also critical to display connections among all your findings. Thus, it can be done in the conclusion you make. Make sure to discuss your study’s implications too.